It’s 4PM on Day 1 of Sunset Music Festival 2017 and local DJ/producer Christian Alexander has just wrapped up his first set of the weekend: a short set that serves as a precursor to his main performance on the Sunset Stage of Day 2. The 22-year-old artist and resident DJ at The Amphitheatre/The Ritz moved from New Jersey to Florida at the age of 12, where he started playing the piano. His interest in dance music stretches back even further, to about the age of 6, thanks to his two aunts from Miami. He recounts a particular experience when he was at their house in Miami: “They were playing Ultra 2004 the DVD. I was so little at the time, I was like ‘What is this? This is amazing!’ ‘This is Ultra, it happens every March in Miami.’” That was enough to capture Christian’s interest. When he turned 13, his two aunts took him to his first music festival experience. “I loved it. You know, Ultra was all-ages back then, so anybody could go. I guess 13 was an ok age.” He’s careful to point out that the setting was a little bit different back then. “It wasn’t as crazy as it is now. The biggest stage was the main stage, and that is where the live stage is now,” referring to the Bayfront Park Amphitheatre. Although Christian took an early interest in dance music, he’s quick to point out that punk rock has a big influence on his creative style: “I went to Warped Tour in high school. I loved it,” noting that one of his favorite effects to add to his tracks is a guitar pluck, which he says helps maintain the flow of the track and keep it unique. Some of his biggest influences are Fall Out Boy and Blink 182, with Take Off Your Pants and Jacket being one of his favorite albums. If you catch one of his sets, there’s a good chance you’ll hear a little punk rock thrown in the mix. On top of his new music releases, you can also hear him live at upcoming shows, including an opening set for ATLiens on July 7 at Myth Nightclub in Jacksonville, FL. This will be Christian’s first Jacksonville show. “I’ve never partied with the Jacksonville people, so I’m excited. I heard they go in.” In addition to his upcoming set at Myth Nightclub, Christian Alexander regularly performs on Saturday nights at The Amphitheatre/The Ritz, while also venturing to Orlando to play at Gilt Nightclub and Miami for Miami Music Week. 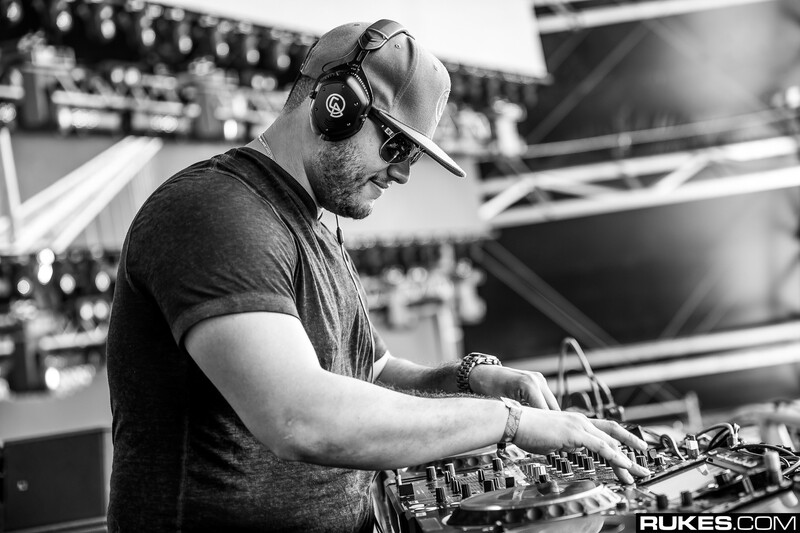 He’s previously opened for artists like Slander, Shaun Frank, Kygo, Galantis, Tritonal, Jauz, and more. Just like the proximity and connection to the crowd holds Christian accountable while he’s performing, the modern age of social media reinforces an artist’s connection to listeners, presenting benefits and challenges to succeeding. “I think one of the biggest challenges is being a musician and a marketing specialist, because you have to use social media 24/7.” It’s an added challenge for an artist like Christian, who already has his hands full as he works towards completing his undergraduate degree from the University of South Florida Tampa in Biomedical Sciences. He would have already completed his degree, but decided to pursue an additional minor in Biomedial Physics, which he will complete in December 2017. He balances his workload with a strict time management regimen using his calendar on his phone. “Everything by day is broken down by time.” He breaks down his days between studio time, homework assignments, live performances, class, and everything else that comes his way. “That list is my life. I stick to it, I don’t deviate from it, and if it wasn’t for that, or just having time management skills, I would get lost in everything. I would have flunked out of school, maybe would have been lazy with my music.” With his schooling almost complete, Christian will have more time to focus on his music, where he hopes to expand his reach. Some festivals on his radar that he would like to perform at include Imagine Music Festival in Atlanta, GA and Okeechobee Music Festival in Okeechobee, FL, two independent music festivals that put a heavy emphasis on visual and performance art, and supporting local talent. The sun has set on another successful Sunset Music Festival, which boasted increased stage production, a world-class lineup, and upcoming local talent like Christian Alexander. If you missed Christian at Sunset Music Festival, you can catch him playing regularly in the South Florida area and beyond as he expands his reach.